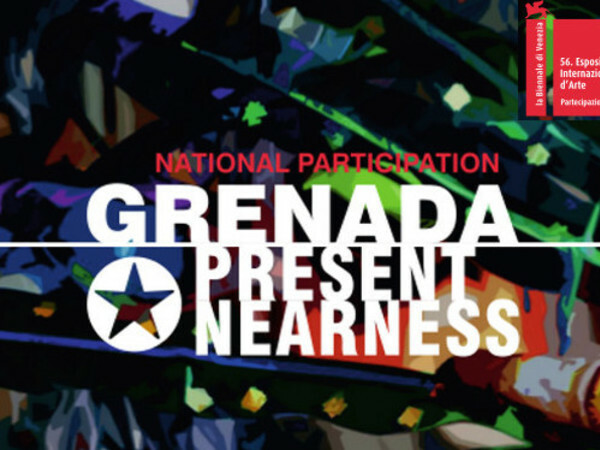 Comunicato Stampa: For the first time at Venice Biennale, the Grenada National Pavilion opens with “Present Nearness” by Susan Mains and Francesco Elysees. In the historical setting of the Sala di Tiziano, the exhibition presents different artistic interpretations on the disordered world of All the World’s Futures; a rich series of works characterized by the use of various artistic mediums: Oliver Benoit paints abstractly, adding and subtracting layers of paint that reflect his sociological research, Asher Mains shows his artistic vision in paintings and videos, Maria McClafferty creates a structure of glass and steel in which explores female suffering. The pavilion incorporates three more international artists – Carmine Ciccarini, Giuseppe Linardi and Francesco Bosso – recognizing that art is transnational, and has no political or geographical boundaries. Moreover, an installation by Susan Mains, made to commemorate the victims of the recent violence in Nigeria. The work, consisting of clothes and objects of daily use lying on the ground, will be exposed to the weather for the entire period of the Biennale, symbolizing how the deterioration of the garments memories human violence. “Present Nearness” leads to the Biennale social issues through an artistic decodification of real life.